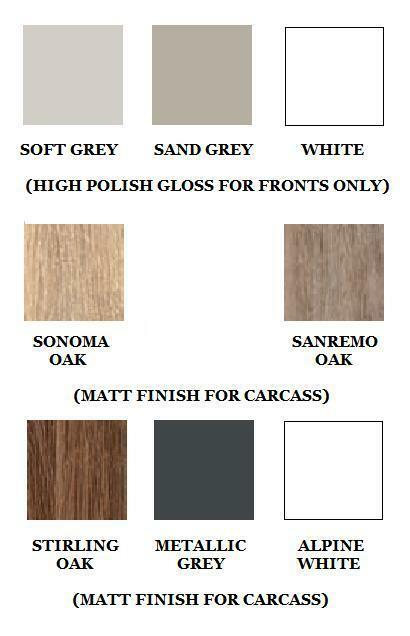 Chose your robe, gloss door and matt carcass finish (see image or brochure link below). 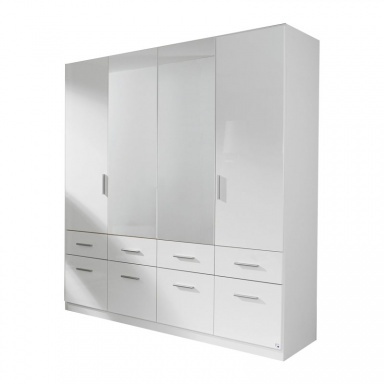 The shelving unit and the corner mirror wardrobe do not contain any gloss - hence the n/a selection in that drop down menu. 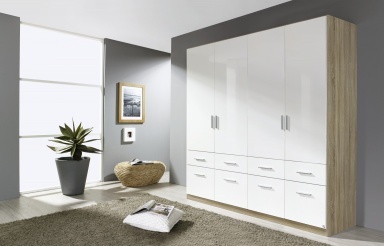 Drawers will be in the same gloss finish as the doors - unless you chose to have them as the carcass finish (see Celle Extra brochure). Optional extras are extra shelves and rails. 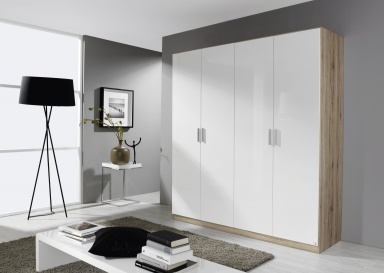 The single door hinge choice only applies to the one door wardrobe. 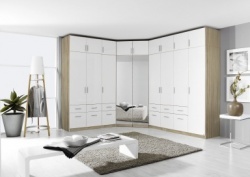 The wardrobes require assembly - available as part of our local delivery service for a £30 charge. The wardrobe fitting service appears as an option in the checkout pages. Top box option adds 39cm to height. 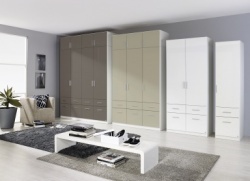 All robes can be full hanging or with two drawers per door (combi). Full hanging robes have one adjustable shelf and rail. 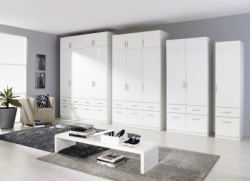 Extra two shelves in all three or four door robes. One adjustable rail in combi robes. W 47cm - you can select which side the hinges are. W 91cm - combi robe has divider option where one side has a rail and the other two shelves. W 136cm - 90cm section to the left and 45cm section to the right - the extra two shelves are 45cm. Combi robe has central mirror door option. W 47 cm D 32cm - four shelves. Matt carcass finishes only apply. Mirror doors optional (instead of gloss).